JAZOON PROGRAM AVAILABLE ON YOUR MOBILE NOW! More JAZOON talks can be found on our Parleys Channel. 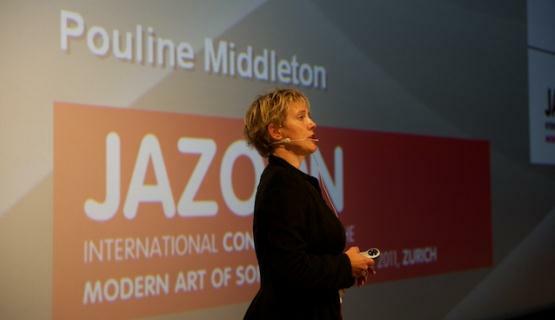 Jazoon'11 finished with the exciting final speech of Pouline Middleton, With over 100 speeches from various IT Experts from all over the world, Zurich was the centre of the international developers during the last 3 days. 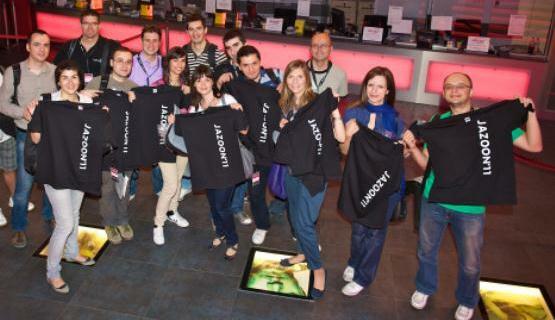 The JAZOON'11 Organisation Committee says a BIG THANK YOU and we hope, that you benefited from this accumulation of knowledge and enjoyed the JAZOON'11. 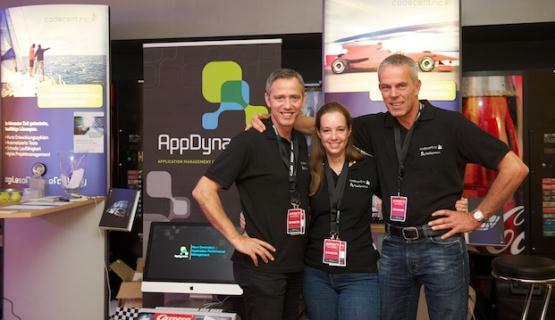 We will see you at JAZOON'12! The greatest Jazoon ever with a new concept. The international developer conference opens its scope and widens the range of its topics with two new tracks (SET - Software Engineering Today and Microsoft as Special Guest). The Jazoon'11 Navigator Preview is available as pdf now! 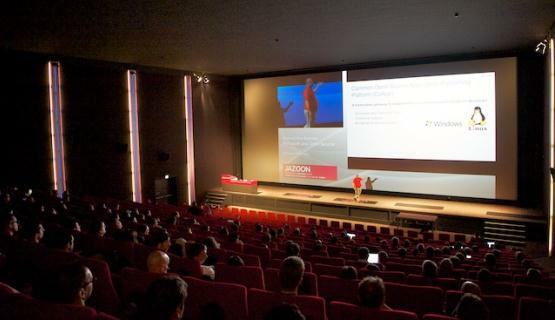 Check the details of the great new Jazoon program! Jazoon'11 has managed to attract David Chappell, one of the most popular speakers in the sector, for a keynote speech at the conference. A keynote speaker at over 100 conferences and events spanning five continents, his books are regularly used in lectures at MIT in Boston, ETH Zurich and other universities. 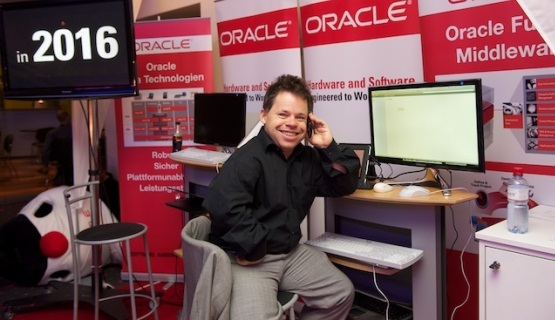 As one of the best-known speakers in the Java community, his talks have been followed by developers, executives in the information technology sector and IT architects in 40 countries on five continents. He has worked as a consultant for organisations including Hewlett-Packard, IBM, Microsoft, Stanford University and Target Corporation and holds a Bachelor’s degree in Economics and a Master’s in Computer Science, both from the University of Wisconsin-Madison. Linda Rising from Arizona is a consultant, author and internationally renowned presenter on issues such as patterns, retrospectives, influence strategies, agile development, and Change process. In her keynote "The Power of Retrospection" she will show techniques how agile development processes can lead to more efficiency. Gianugo is the bridge between open source and Microsoft. Gianugo about himself: "I'm Gianugo Rabellino, Open Source enthusiast, passionate golfer, foodie and geek at heart. I'm the senior director of open source communities, at Microsoft, a member of the Apache Software Foundation and a guy who's been paying his bills with Open Source for more than 18 years now. " Pouline Middleton is a writer and a gifted speaker from Denmark. She is at home in digital media and provides many tips about "story telling". Her keynote "How to become a famous author and publish a book" shows the participants many topics of interest - or stories - and how they can publish and distribute them.